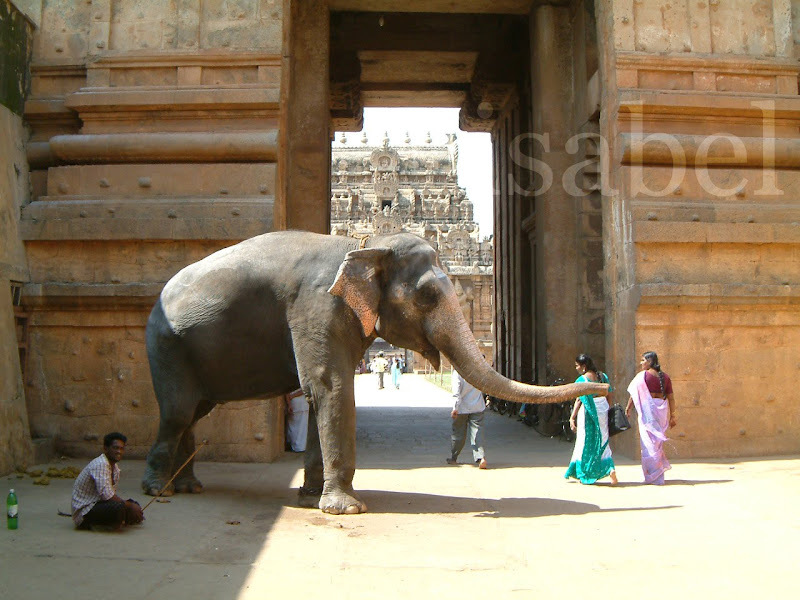 If you visit a temple in South India, you’ll be met by an elephant at the door. She’ll ask you for a coin which she’ll take from your hand and slyly drop in the lap of her mahout before ‘blessing’ you by tapping you gently on the head. The elephant is revered in India because it is a representation of the elephant-headed god Ganesh. But temple elephants do not live in the most ideal conditions. They stand for hours in the hot sun, are kept chained in confined spaces and suffer from foot diseases. Parvathi, the 15-year-old female elephant of the Meenakshi Sundareswarar Temple here, is basking under a new shower system installed exclusively for its use. Put into operation on Wednesday, the shower will use 5,000 litres of water a day for the elephant, which will be cleaned once in the morning and evening. The shower was installed at a cost of Rs. 20,000. The move follows a meeting of the temple authorities and individuals owning elephants convened on July 2 by the Chief Conservator of Forests at the Arignar Anna Zoological Park at Vandalur in Chennai, said R. Padmanaban, Executive Officer of the temple. The meeting discussed the upkeep of elephants and the general health practices to be followed. Following the advice received during the meeting, the Meenakshi temple authorities have decided to replace with sand the stone tiles at the Yanai Mahal (the elephant enclosure located inside the temple). The elephant would be served new health food as instructed during the meeting. “We have also stopped the practice of elephant blessing devotees from July following the advice from State government. This was done to prevent the elephant from contracting any disease,” he said. Parvathi, which was brought from Arunachal Pradesh, weighs over 3,000 kg. Health check-ups are conducted once in 15 days by veterinarians from the Animal Husbandry Department. A similar initiative was undertaken recently at the Subramaniaswamy Temple at Tirupparankundram near here where a shower system was set up for the temple elephant. Wonderful! So glad some changes are being made. It's no wonder some elephants in India go on angry rampages destroying life and property. I might too under those conditions! Oh how HAppy I was to read this blog post!! Even shared it on my FB page~ Love your posts soooooo much!